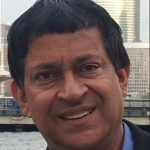 Mohan Venkataraman is the CTO of Chainyard, a Morrisville, NC based Blockchain Consulting and Advisory Company. Hehas over 25 years of IT experience across various companies including Keane, MCI, Texas Instruments, Nortel Networks, Deloitte and VMWare where he has lead several multi-million dollar projects. In his current role he has helped establish Chainyard as a dominant player in providing Hyperledger-Fabric and Private Ethereum Solutions. His team has experience in building several supply chain solutions, many of them have been in the works for over 20 months and depoyed into production. Mohan i a blockchain evangelist and has spoken at various conferences including IBM Think.